Every minute, a new creative idea surfaces and paves the way for innovations and breakthroughs in this digital world; the Prime reason for development of innumerous websites in various domains. Some of these ideas and ventures may not see the light of the day, some may not be progressive enough to earn their existence in this competitive world, and some may thrive and progress upon other websites. Whatever might be the case; these entrepreneurs will be present online through their websites. Some of these website owners might be interested in selling their websites either to support their financials or for some other reasons. 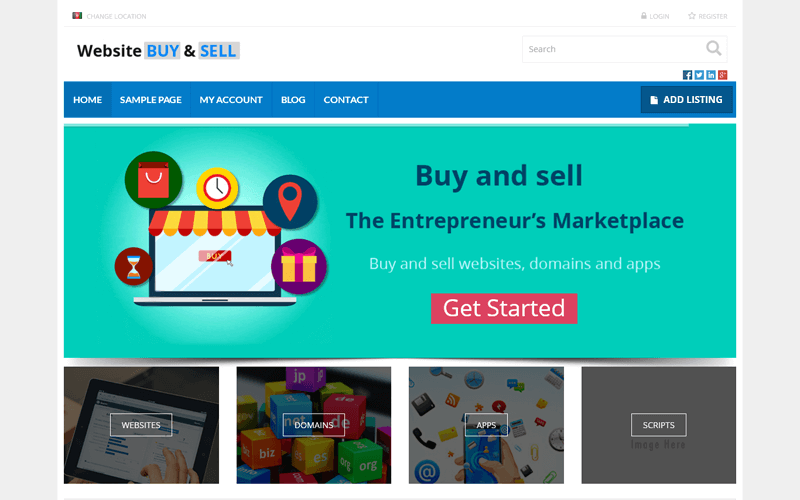 Through our Flippa Clone script, we are providing you with a script to launch a market place of your own wherein; you could buy and sell websites or web related products (Mobile Apps, Domains etc.) earning a high return on your investment. With its advanced pre-built functionalities, this script has already achieved a formidable status among its competitors. Besides, having integrated many advanced features in this script to enable better bidding during auctions we have also integrated a provision to view the expiry date of an auction through individual logins to assist the user in arriving at fruitful decisions. The launch pad or market place of websites should have their own uniqueness and facilities. Keeping this in mind, we have developed this Flippa Script with essential features. This script not only facilitates smooth transactions among buyers and sellers but also sports a user-friendly design for smooth navigation across pages. Though filled with numerous features, we have mentioned a few for your ready reference. Revenue Model: We have a strong revenue model in which the owner of the website can earn certain percentage of commission from the buyers & the sellers in the form of service charges, besides listing fees from sellers for utilization of the platform. This is in addition to the amount of revenue generation from advertisement banners. Secure payment gateway: Flippa Clone consists of PayPal as default payment gateway to ensure secure transaction between the buyer and the seller. Further, the admin can acts as an ESCROW between buyers and sellers to ensure smooth transaction. CMS pages: Admin has the right to manage the CMS pages for the entire website. SEO Friendly: The SEO-friendly URL will always keep the website amongst top ranks of the Google search pages. Social Media Integration: The Flippa Clone integrated with social media facilitates your email campaigns, launching of blogs etc., to improve your sales ranking. Awesome clone script. Big shout out to the Tech PHP scripts mall team. –Very responsive .. Script is just what we needed and their Customer support is excellent!!!!!! !